There are many definitions of terrorism. 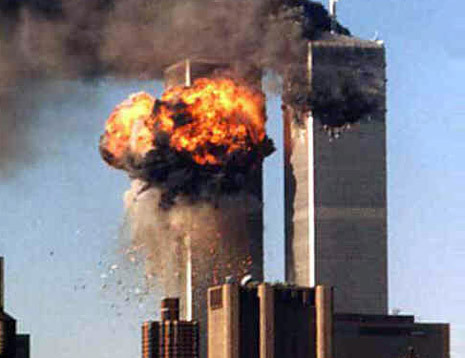 The FBI had defined that international terrorism means the activities with three characteristics; (I) involve in violent acts or acts dangerous to human life that violate state or federal laws, (II) appear to be intended to (i) intimidate or coerce a civilian population (ii) to influence the policy of a government by coercion or (iii) to affect the conduct of a government by mass destruction, assassination, or kidnaping. (III) Occur primarily outside territorial jurisdiction of the U.S. or transcend national boundaries in term of the means by which they are accomplished, the persons they appear intended to intimidate or coerce. The FBI has also defined domestic terrorism as activities following three characteristics; (I) Involve acts dangerous to human life that violate federal or state law. (II) Appear intended (i) to intimidate or coerce a civilian population, (ii) to influence the policy of a government by intimidation or coercion, or (iii) to affect the conduct of a government by mass destruction, assassination, or kidnapping. (III) Occur primarily within the territorial jurisdiction of the U.S. Both of these definitions are very broad because there are so many different forms of terrorism that it can't be defined as just one thing. Just like the U.S. constitution had to be very vague because things change. There will probably never be a definition that everyone will agree on. When people today hear the word terrorism they automatically think of al-Qaeda or other Islamic terrorist groups. These groups do contribute to a certain type of terrorism, but there are many other types that not very many people know about. The definition of terrorism is, an individual or a group in order to draw attention to a cause, enact political change, or gain political power. Some see terrorism as the use of violence to physically and psychologically terrorize a population. The word “terrorism” is used for a lot of different things. 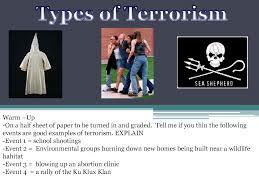 Studies have found over a 100 different types of definitions for the word terrorism. Lawmakers, security professionals, and scholars have defined the different types of terrorism according to what type of terrorist attack it is. Researchers in the United States began to distinguish different types of terrorism in the 1970s, following a decade in which both domestic and international groups increased. By that point, a lot of groups had began to use many different techniques such as hijacking, bombing, diplomatic kidnapping and assassination to assert their demands and, for the first time, they appeared as real threats to Western democracies, in the view of politicians, law makers, law enforcement and researchers. They began to distinguish different types of terrorism as part of the larger effort to understand how to counter and deter it. One of the scarier types of terrorism is Nuclear Terrorism. Nuclear Terrorism is a type of terrorism that the terrorist plans to attack on a nuclear research facility or commercial nuclear power plant. This could lead to the release of nuclear material. "Nuclear terrorism" refers to a number of different ways nuclear materials might be exploited as a terrorist tactic. These include attacking nuclear facilities, purchasing nuclear weapons, or building nuclear weapons or otherwise finding ways to disperse radioactive materials. Another type of terrorism is Bioterrorism. The history of bioterrorism goes back as far as human warfare. This is nothing new, there have always been efforts to use germs and disease as weapons. In the late 20th century, violent non-state actors began seeking to acquire or develop biological agents to use in attacks on civilians. There are very few of these groups, and almost no recorded bioterrorism attacks. Nevertheless, the reported risk has led the U.S. government to expend immense resources for biodefense in the early part of the 21st century. Terrorism can mean a lot of different types of things not just a group of people crashing airplanes into the twin towers, or a group of people coming over and trying to bomb certain places. Terrorism comes in many shapes and sizes. There are terrorists that are even part of the United States of America in our government. 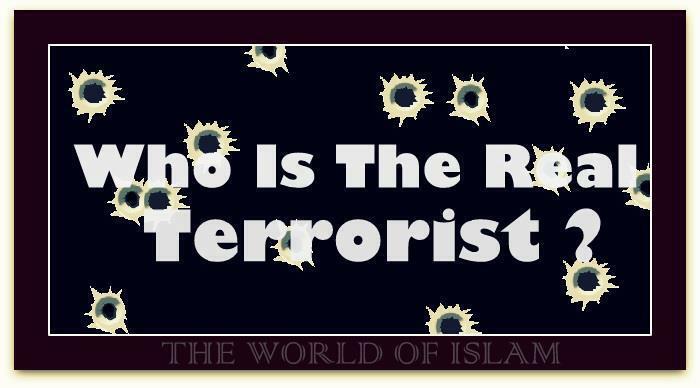 Terrorism has been around since the beginnings of recorded history according to http://www.terrorims-research.com/. Terrorism is very difficult to define and many people interpret it in many different ways. Terrorism has been defined as both a necessary evil for injustice and an abomination. Throughout the years many people has been oppressed and have not resorted to terrorist acts while others have resorted to terrorist acts and more. It’s obvious that most of these so-called terrorists don’t see themselves as terrorists. They think that they are in the right. Every side believes that what they are doing is the right thing to do. There are ultimately three perspectives that accompany terrorism. These are the terrorist’s, their victims, and lastly the general publics. The whole point of terrorism to some people is to get a reaction and strike chaos and fear into the public. Terrorists use psychological to sway the public to see them as a “robin hood” of sorts. According to this site this is one of the main things that we must work on countering with all that we can. Public opinion is one of the main things that are fought over by the terrorists and the governments and people they fight against. The government tries very hard to convince the public those terrorists are just murderers with no regard for human life at all. I think that smart people would be able to see both sides. They shouldn’t agree with the terrorist but should realize that the terrorist don’t think that they are evil. They most likely feel that what they are doing is for a good cause. In conclusion, terrorism is very difficult to explain and is interpreted differently by almost everyone that tries to define it. Terrorism is caused by a social or political injustice. A terrorist might choose to use terrorism to try and make something they see as a wrong right. If they have been denied rights or land that is theirs they might choose to use terrorism to change this. Terrorism is used when the person or group believes that violence, or the threat of violence will cause a change. In many circumstances terrorists use violence as it is the only choice that they think they have. -Zionists who bombed British targets in 1930s felt they had to do so to create a Jewish state. -The IRA bombed English targets in the 1980s to show that they felt their land was colonized by British imperialists. -In the 1960s and 1970s, the Popular Front for the Liberation of Palestine felt that armed attacks in Israel were a justifiable response to the seizure of their land. -Osama bin Laden's declaration of war on America in the 1990s because he believed that U.S. troops stationed in Saudi Arabia were against the kind of Islamic state he believed should exist in the Arabian peninsula. Terrorism has been around for hundreds of years, and will continue to be a serious problem in the future. It has evolved and changed with the times, and will continue to do so as more technologies and challenges arise. As societies change, so will the ideas of the terrorists. They will find new ways to exploit these changing societies and new technologies. Even as terrorists are faced with more advanced counterterrorism methods, they will continue to adapt. 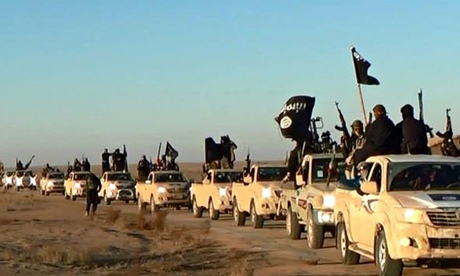 Terrorist groups are developing new capabilities and becoming more advanced as time goes on. At the moment the future seems extremely likely to have terrorist activities in it. 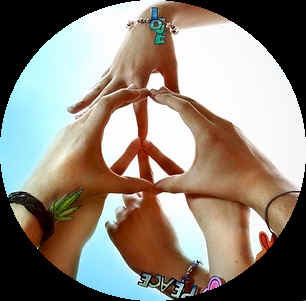 A perfect world is definitely a long way off, and as long as there are problems there will be terrorism. There are many groups throughout the world that are treated unfairly and that have their rights taken away. As long as these situations are around terrorist activities will continue to happen. bodily injury, or taking of hostages, with the purpose to provoke a state of terror in the general public or in a group of persons or particular persons, intimidate a population or compel a government or an international organization to do or to abstain from doing any act. The US has tried to pinpoint a list of terrorist activities and it is as follows. According to the FBI terrorism is: The unlawful use of force or violence against persons or property to intimidate or coerce a Government, the civilian population, or any segment thereof, in furtherance of political or social objectives. violence to inculcate fear. It is intended to coerce or intimidate governments or societies … [to attain] political, religious, or ideological goals." U.S. Army Field Manual No. FM 3-0, Chapter 9, 37 (14 June 2001). nation-states call the militants who oppose their regimes “terrorists”. Like “beauty”, “terrorism” is in the eye of the beholder. When understanding terrorism it is of ultimate importance to understand the theories of terrorism also. Though the terrorist groups resort to violence, they too, follow theories like a business organization or a government organization. The victory of a terrorist organization depends to a certain level on how they adopt the theories for committing acts of terrorism. Most of the terrorist organizations do have theoreticians. One good example is late Dr. Anton Balasingham who was the main theoretician of the deadliest terrorist organization in the world. Theory of Terrorism is misery and oppression inspire all types of civil unrest; insurgent terrorism is one of these. Once terrorism occurs, the police are triggered to counterattacks. Under the pressure of these counterattacks the terrorists cannot hold rallies, make speeches, print newspapers, or otherwise continue political campaigning among the masses without exposing both themselves and their supporters to almost certain arrest. However, this is exactly the sort of political work which is necessary to ensure that the masses will support the rebels in their conflicts with the regime. Therefore, by increasing repression which in turn prevents political agitation, terrorism makes a successful revolution less likely. Terrorism is not typically the work of the poor and demoralized; it is the work of the idle elites, particularly students and the intelligential. It arises during periods of unmatched affluence rather than desperate poverty. Furthermore, it is the most open, democratic and liberal governments that are most afflicted. Affluence and freedom encourage, allow, or somehow produce terrorism. Once terrorism occurs, it leads to a decrease in freedom (increase in oppression). It also increases the likelihood of a military coup. In overall terrorism is used in different ways, a lot of people define it in many different definitions .But it is very difficult to define. Terrorism is being defined as evil but sometimes that’s the not the case some people are just trying to protect their families and their country and most people look at it as terrorist are bad because they don’t live in the same place as them but people can’t judge off that because some people don’t know that the ‘bad terrorist” are right there in their country, terrorist that go kill for no reason because they’re not the same religion or whatever the case is. Every side believes that what they doing is right because that’s what they have been told to do. I think the whole topic of terrorism to some people is to get a response and raid confusion and put fright into the public. A lot people should really look into terrorism and not just go off what the public tells them, people should read because it’s not what it seem to be and it’s not that what everybody think it is. The term “terrorist” is a very broad term. There are many different forms and several different groups from all over the world. Some acts may be political while others are nothing more than violence from some gang group. Terrorism is not a form of governance but a form of anarchism. Anarchism justifies terrorism as a form of criminal action that attacks the values of an organized, complacent society. Anarchism rejects any form of authority, instead they prefer any non-authoritarian organization that’s gives workers freedom. Anarchism is the notion of free and equal access to all the world's resources to enable positive freedom in place of negative freedom. Terroristic acts are caused by one group not agreeing with another. They use violence to try to get their point across. When someone want something that another group has that leads to war. Terrorist acts can be one group simply defending themselves. They may not even know why they are fighting, but once you realize that you are being attacked it’s either time to fight or time to lay down. No one is willing to just give up what is theirs so they are going to fight for it. When there are several people who find something that they all do not like they are going to form a group. The purpose of the group is to become stronger and hold more power so that when they come up with a plan and choose to act it will be more effective. These people feel so strongly on that matter that they do not care about the laws or the rules. They most effective way to be noticed and to be taken seriously is to break a few rules, cause a big disturbance. Once enough people are effected you’ll be noticed and taken more serious, someone will have to respond. Everyone isn’t going to always agree on the same thing. There will never be a law that’s suitable for all people. There will always be an opposing side. So how do you keep people satisfied? I think some people are unrealistic and selfish. So finding a way to end terrorism may never happen. You cannot address everyone who may have an issue with something especially if it is just a few people. The government have more to worry about. Being ignored causes little groups to respond in major ways, such as terroristic acts. Rebellious people are most common to be members of a terroristic group. Those who are willing to fight for what they want and don’t care about those who don’t care about them and what they feel like they need. Those who say no instead of accepting no. Once they feel like the justice system has let them down they come up with their own system of right from wrong and their own regulations. Right-wing terrorism is terrorism motivated by a variety of far right ideologies and beliefs, including snit-communism, racism and many others. This type of terrorism has been occurring at irregular intervals or only in a few places; scattered or isolated, with little or no international cooperation. Modern right-wing terrorism first appeared in western Europe in the 1980s and in eastern Europe. Right-wing terrorists try to overpower the government and then replace it with nationalist or fascist-oriented governments. In the 1980s, the United States had more then 75 right-wing terrorism groups, even though they only had six attacks during the decade. In 1983 a man named Gordon Kahl killed two federal marshals and then later he was killed by the police. On April 19, 1995, the was an attack on the Murrah federal building in Oklahoma. Two men were involved in this attack. There name was Timothy McVeigh and Terry Nichols. They killed 168 people. Eric Rudolph executed a series of terrorist attacks between 1996 and 1998. He carried out 1996 Centennial Olympic park bombing. Which claimed two lives and injured 111. He had the aim of to canceling the games, claiming they promoted global socialism. Rudolph confessed to bombing an abortion clinic in Sandy Springs, on January 16, 1997; a Atlanta lesbian bar, on February 21, 1997. That injured five; and an abortion clinic in Birmingham, Alabama on January 29, 1998, killing Birmingham police officer and part-time clinic security guard Robert Sanderson, and critically injuring nurse. Since the September 11, 2001 attacks according to the New America Foundation. Right-wing terrorists have committed at least 8 harmful terrorist attacks in America. In result of 9 deaths. There was also 53 acts of violence, 40 of which were assaults directed primarily at African-Americans, 7 of which were murders and the rest of them were threats. All 53 acts were between January 1, 2007 and October 31, 2009. They were white supremacists. The Ku Klux Klan. Its acts of violence have tended to be retaliatory rather than symbolic. Still, given its influence on events in the United States, no discussion of right-wing terrorism would be complete without its mention. On the other hand, many racist groups, such as the White Patriot Party, have built the "patriot" theme into their name. Others, such as the so-called "Christian Identity Movement” identify white America with the 10 lost tribes of Israel. The Christian Identity Movement and other such groups are profoundly anti-Semitic. None of these groups is, in strict terms, a terrorist group, but as with the Klan, discussions of right-wing terrorism require reference to such groups. State involvement in terror: These are activities where government personnel carry out operations using terror tactics. These activities may be directed against other nations' interests, its own population, or private groups or individuals viewed as dangerous to the state. In many cases, these activities are terrorism under official sanction, although such authorization is rarely acknowledged openly. 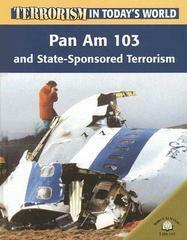 Historical examples include the Soviet and Iranian assassination campaigns against dissidents who had fled abroad, and Libyan and North Korean intelligence operatives downing airliners on international flights. Another type of these activities is "death squads" or "war veterans": unofficial actions taken by officials or functionaries of a regime (such as members of police or intelligence organizations) against their own population to repress or intimidate. While these officials will not claim such activities, and disguise their participation, it is often made clear that they are acting for the state. Keeping such activities "unofficial" permits the authorities deniability and avoids the necessity of changing legal and judicial processes to justify oppression. This is different than "pro-state" terror, which is conducted by groups or persons with no official standing and without official encouragement. While pro-state terror may result in positive outcomes for the authorities, their employment of criminal methods and lack of official standing can result in disavowal and punishment of the terrorists, depending on the morality of the regime in question. State sponsorship of terrorism: Also known as "state supported" terrorism, when governments provide supplies, training, and other forms of support to non-state terrorist organizations. One of the most valuable types of this support is the provision of safe haven or physical basing for the terrorists' organization. Another crucial service a state sponsor can provide is false documentation, not only for personal identification (passports, internal identification documents), but also for financial transactions and weapons purchases. Other means of support are access to training facilities and expertise not readily available to groups without extensive resources. Finally, the extension of diplomatic protections and services, such as immunity from extradition, diplomatic passports, use of embassies and other protected grounds, and diplomatic pouches to transport weapons or explosives have been significant to some groups. When people think of terrorism they usually think of al-Qaeda and 9/11, but terrorist groups are all over the globe. State terrorism is the use of terror by a government in order to control its population, it’s a lot like state sponsored terrorism but the state does not sponsor terrorist groups, state terrorism is carried out by the group holding power in the country. Religious terrorism is usually motivated by religious beliefs, religious terrorism is very dangerous because of the lengths that some individuals will go for their cause, including suicide. Right wing terrorism aims to combat liberal governments, and preserve traditional social orders. It is mostly characterized by militias and gang, for example the Klu Klux Klan. Left wing terrorism seeks to overthrow capitalist democracies and establish a socialist or communist government. They was to establish a system that gets rid of class distinction, these groups were most prominent in the Cold War. Pathological terrorism are the individuals that use terroristic strategies for the joy of terrorizing others. They rarely work in groups and not considered true terrorists because they lack a motive. Issue oriented terrorism is used by people who want to bring a certain issue to the public’s eye. These issues are usually environmental or social in nature. Separatist terrorism seek to cause a country to break up and let them become their own state. These are usually a minority or a group that has been suppressed throughout history. Narco-Terrorism refers to the organizations that gain funding through drug sales. It also deals with the use of violence by the groups to make the sale of their drugs easier. Different types of terrorism have been defined by lawmakers, security professionals and scholars. Researchers in the United States began to distinguish different types of terrorism in the 1970s, following a decade in which both domestic and international groups flourished. By that point, modern groups had began to use techniques such as hijacking, bombing, diplomatic kidnapping and assassination to assert their demands and, for the first time, they appeared as real threats to Western democracies, in the view of politicians, law makers, law enforcement and researchers. 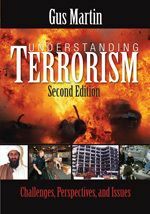 They began to distinguish different types of terrorism as part of the larger effort to understand how to counter and deter it. Many definitions of terrorism restrict it to acts by non-state actors. But it can also be argued that states can, and have, been terrorists. States can use force or the threat of force, without declaring war, to terrorize citizens and achieve a political goal. Germany under Nazi rule has been described in this way. It has also been argued that states participate in international terrorism, often by proxy. The United States considers Iran the most prolific sponsor of terrorism because Iran arms groups, such as Hezbollah, that help carry out its foreign policy objectives. The United States has also been called terrorist, for example through its covert sponsorship of Nicaraguan Contras in the 1980s. Cyber-terrorists use information technology to attack civilians and draw attention to their cause. This may mean that they use information technology, such as computer systems or telecommunications, as a tool to orchestrate a traditional attack. More often, cyber-terrorism refers to an attack on information technology itself in a way that would radically disrupt networked services. For example, cyber-terrorists could disable networked emergency systems or hack into networks housing critical financial information. There is wide disagreement over the extent of the existing threat by cyber-terrorists. Eco-terrorism is a recently coined term describing violence in the interests of environmentalism. In general, environmental extremists sabotage property to inflict economic damage on industries or actors they see as harming animals or the natural environment. These have included fur companies, logging companies and animal research laboratories, for example. Narco-terrorism has had several meanings since its coining in 1983. It once denoted violence used by drug traffickers to influence governments or prevent government efforts to stop the drug trade. In the last several years, narco-terrorism has been used to indicate situations in which terrorist groups use drug trafficking to fund their other operations. Different types of terrorism have been defined by lawmakers security professionals and scholars. 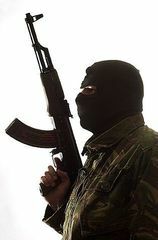 Types of Terrorism Researchers in the United States began to distinguish different types of terrorism in the 1970s, following a decade in which both domestic and international groups flourished. By that point, modern groups had began to use techniques such as hijacking, bombing, diplomatic kidnapping and assassination to assert their demands and, for the first time, they appeared as real threats to Western democracies, in the view of politicians, law makers, law enforcement and researchers. They began to distinguish different types of terrorism as part of the larger effort to understand how to counter and deter it. Many definitions of terrorism restrict it to acts by non-state actors. But it can also be argued that states can, and have, been terrorists. States can use force or the threat of force, without declaring war, to terrorize citizens and achieve a political goal. Germany under Nazi rule has been described in this way. It has also been argued that states participate in international terrorism, often by proxy. The United States considers Iran the most prolific sponsor of terrorism because Iran arms groups, such as Hezbollah, that help carry out its foreign policy objectives. The United States has also been called terrorist, for example through its covert sponsorship of Nicaraguan Contras in the 1980s. "Nuclear terrorism" refers to a number of different ways nuclear materials might be exploited as a terrorist tactic. These include attacking nuclear facilities, purchasing nuclear weapons, or building nuclear weapons or otherwise finding ways to disperse radioactive materials. Narco-Terrorism Narco-terrorism has had several meanings since its coining in 1983. It once denoted violence used by drug traffickers to influence governments or prevent government efforts to stop the drug trade. In the last several years, narco-terrorism has been used to indicate situations in which terrorist groups use drug trafficking to fund their other operations. There is a new type of terrorism on the rise. This form is coined as cyber-terrorism. Many are wondering if this should actually be known as terrorism. Cyber-terrorism is being defined in many different ways and also from many different viewpoints. The most common definition is using technology, mostly computers to attack information networks and other primary functions of the internet. Cyber-terrorism is thought by most to be the least of our problems and not much of a threat, but I tend to disagree with this. I think it could potentially be a huge problem for our government and us as American citizens if it’s taken too lightly. Cyber-terrorism is a problem because the internet and computers are rapidly becoming the most widespread use of information and communication around the globe. According to Serge Krasavin each new form of terrorism that comes up must have clear guidelines and other rules set to define it. This new form of terrorism no matter how lightly the government takes it could cripple the population if the cyber-terrorists had the proper plan to bring us down. This new and rapidly growing threat must be dealt with in a fast and capable manner. New forms of terrorism are always springing up and will most likely continue to develop but they can be helped if we all take these threats and new terrorists seriously. With the populations growing dependence on technology, I think that cyber-terrorism could possibly become one of the worst forms of terrorism. It may not be as fatal as bombings, hijackings, and the chemical warfare that is bioterrorism but it can still become one of the biggest problems that we as a nation must undertake the fight against. Although I think Bush was an idiot as you can’t truly have a war on terrorism. Terrorism will never disappear with new and more deadly forms of it happening around the globe. Bioterrorism is the intentional release of toxic biological agents in a terrorist attack. These agents could be viruses, bacteria or toxins, and could be found in nature or be modified by humans. It is a dangerous form of terrorism because biological agents can be relatively easy and cheap to obtain, and it can cause widespread panic and fear. As well as being used directly against humans, bioterrorism can be used against plants and animals to cause just as many problems. Biological agents can spread through air, water and food, and they can be hard to detect. Sometimes infected people will not be aware of their sickness until days after infection, causing them to unknowingly spread the disease to other people. Even though there are a large variety of potential biological agents that can be used, there are some that could be extremely effective due to their availability and the way the attack the human body. The most dangerous agents are the ones that can be easily transmitted and that have a high mortality rate. They can cause diseases like anthrax, smallpox and bubonic plague. Bioterrorism can be dated back to Ancient Rome, and into the 14th century. In this early form of bioterrorism bubonic plague was used to attack cities, to try and draw the enemy out and evacuate the city. In these early forms of bioterrorism the major problem was that no one could control who was infected, and in many cases the wrong people became ill. This is still one of the major problems with bioterrorism, as controlling the disease and the spread of infection is extremely difficult. However, terrorists are now using more controllable and effective weapons. One of the more commonly used agents is anthrax. This is because it is easy to infect someone with, has a high mortality rate, and it is easy to obtain. Anthrax is also unlikely to infect the wrong population as it does not spread from person to person. As the reality of a biological terrorist attack is becoming more likely, there is being more research and funding put towards a defence against it. The US military has a specialized unit to respond to a biological attack and the United States is working on an advanced detection system, which will attempt to give early warnings, identify contaminated areas and show which population is at risk. The idea of this is so the outbreak can be treated and contained as fast as possible. 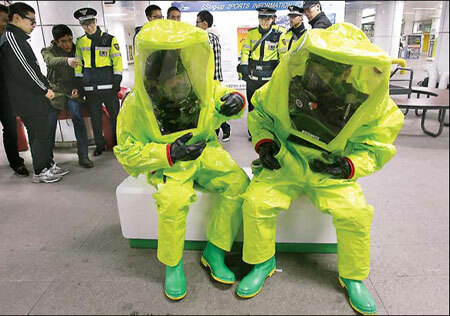 There are also methods being developed in some of the major cities that will predict the use of biological attacks. In order to successfully defend against biological attacks the health and law enforcement authorities need to work together closely, and communicate anything which could be suspicious to each other. 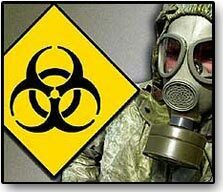 Bioterrorism is a dangerous form of terrorism and a major attack could prove to be very serious. It is also a realistic threat as the biological agents needed are available throughout the world, and are not that difficult to get a hold of. With the advancements in science it would also be possible for humans to create biological weapons to behave how they want them to. The defence against biological attacks definitely needs to be researched as it will be needed. There is no consensus on one general definition of state-sponsored terrorism, as there is no definition for terrorism in general. In the following text, I will try to explain the term state-sponsored terrorism, what acts are being provided by the state who support it, discuss the countries that are currently involved in state-sponsored terrorism, and the advantages that these bring to them. First of all, a synonym for state-sponsored terrorism is state supported terrorism. The states that perform state-sponsored terrorism usually provide the terrorist organization with political support, financial assistance, and the sponsorship necessary to maintain and expand its struggle. The patron states don’t always have to carry out all three, just executing one is enough to become a state-sponsored terrorist country. The goal is usually to spread the ideology of the terrorist group throughout the world. An example of a state sponsor of terrorism is Iraq. Besides their revolting acts in their own country they also have ongoing association with and provide support to Hezbollah, Hamas, Palestinian Islamic Jihad, and al Qaeda (who are all terrorist organizations who have taken responsibilities for terrorist attacks around the world). a. Low costs-financially: Terrorism is inexpensive in the sense that you don’t need a lot of people or resources to make your point. In a way it’s enough to make one bomb, claim responsibility, and make your statement to get a waiver of response throughout the world. b. Low costs-politically: As long as the support for a clandestine terrorist group is secret the political cost is low. Sometimes when other countries know about it, but when the support is really low then they tend to look away. c. High yields-financially: States that are arms dealers can usually quite profit with no or little political, military, or economic impact. When they do get caught it usually ends up in the recall of a couple ambassadors, but with no impact on trade or diplomatic relations. d. High yields-politically: when you try to achieve political goals this is often done when the targeted government reaction against terrorist-attacks isn’t supported by the citizens. This can even lead to the end of a regime. Major concessions can be bought when a successful terrorist incident shocks the population too much. e. Low risk-politically and financially: the cost for financing terrorist organizations is very low compared with the money that needs to be paid to a fully equipped and trained army. When there is a successful terrorist operation the rewards are usually very big. The losses are often very small in failed operations, unless the failure can be brought back to a state sponsor. When a state sponsor of terrorism is discovered this has a major impact, and the political and financial price will be high. Finally, I would say that state-sponsored terrorism exists, and is a real threat in modern day life. On the other hand the good news is that state-sponsored terrorism has declined in recent years, but that doesn’t mean it has stopped. Nuclear terrorism refers to the use, or threat of the use, of nuclear weapons or radiological weapons in acts of terrorism, including attacks against facilities where radioactive materials are present. Nuclear terrorism is an offense committed if a person intentionally “uses in any way radioactive material … with the intent to cause death or serious bodily injury; or with the intent to cause damage to property or to the environment. Nuclear terrorism could include; Acquiring or fabricating a nuclear weapon, Fabricating a dirty bomb, Attacking a nuclear reactor by disrupting critical inputs “water supply”, Attacking or taking over a nuclear-armed submarine, plane, or base. There are different types of terrorism in this world, People today use terrorism as bad people or people trying to hurt other people or people trying to scare other people. Another word we use today for terrorism is terrorist which mean the same thing In the US today we look at terrorist as bad people but have you ever wondered we can be terrorist also? Many of us use that word sometimes in the wrong way because we hear it from other people or see things but we really don’t take the time out to really look into the back ground of it. It all depends what they are attacking or what they are trying to defend. Terrorists aren’t always bad just we say that because of the wars and what the media say. Everybody is a terrorist no matter what country you live in because all countries think other countries are terrorists so the US doesn’t make a difference they are terrorists in other countries eyes also. Bioterrorism refers to the purposeful release of toxic natural agents to damage and intimidate civilians, in the name of a civil or other reasons. The U.S. Center for Disease Control has categorized the viruses, bacteria and toxins that can definitely be used in a bad attack. Those can do the most damage and can cause a lot of people can die or can surely be hurt real bad. 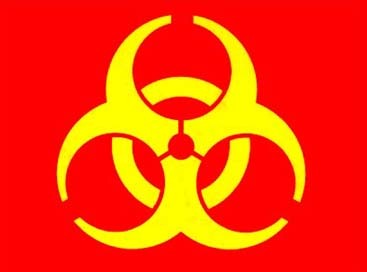 Most people don’t know about Bioterrorism but it is really dangerous and can scare a lot of people. And they are the most likely to do the most damage. 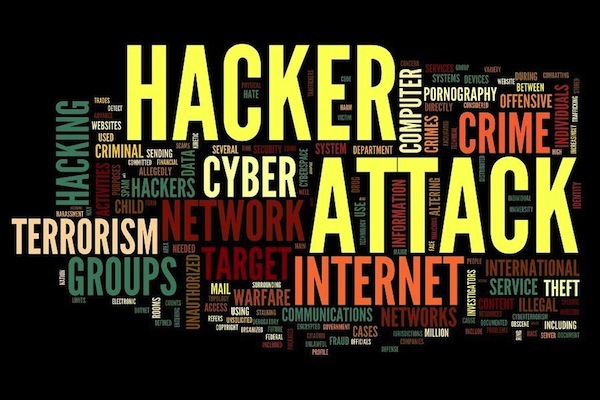 Cyberterrorism use technology information to attack other terrorist and draw attention to their basis. And that’s when they came in and attack because the other terrorists don’t know anything that’s going on. They use things like computer systems and things like telecommunications to see where the other terrorist are and then they locate and spot them out then they go in for the attack. They go in on attacks from the technology they use. And also the technology they use they disrupt other network services and that’s how they come upon their attacks. Cyberterrorists can disable networked emergency systems or hack into other networks housing critical financial information. They can do a lot using the technology information because their technology is so up to date that can they make some more adjustments probably the next day to catch the other terrorist. Ecoterrorism is a different type of terrorism they are a environmentalism type of terrorism they do damage on people who harm animals or anything in the environment so they spot people who is killings animals or mistreating animals. They believe people shouldn’t kill animals, or harm them in anyway and if they see you do that they will kill you or hurt you. Nuclear terrorism refers to a number of different ways nuclear materials might be demoralized as a terrorist tactic that can harm a lot of people. They attack nuclear facilities and also make new weapons to use to against other terrorist. Or they build nuclear weapons that can really do a lot of damage to the others. Or they find ways to disband radioactive materials. They create a lot of fuel pools so that can bomb the other terrorists. They have a lot of power plants that are stored in different buildings. They can kill of a lot of outsiders trying to come in because those fuel pools are watched and worked by the people that run that area so along with the technology they use they can see the terrorists come in and they can blow them up at any time. It’s good to know about other terrorist because you will get the full understanding of everything that happens and the things they use and all the technology they use. Always remember every terrorists are different and have different meanings. Throughout history terrorism has been a part of society and culture as a whole, the definition in itself can not be determined by any form of government other than that it is ran by political and emotional force mainly due to differences of opinion between various members about the use of violence in the context of conflicts over national liberation and self-determination. Now you're probably asking why there are even different types of terrorism and the answer is the simple fact that there are several motivations as to when, where, and how a terrorist group or a single person goes about their plane of action. There have been several groups that have made the impact of terrorism in the country a thing of fear.. when in reality to the ones performing the act itself there has several meanings. Political, Military, and even Pride. We cannot put a label on things we don't understand and push for a change if we are not willing to understand the world. When most people hear the word terrorism or terrorist they think of bombs or some foreign person, truth be told there is several different forms and acts of terrorism. There is more than just one terroristic group that operates in very different ways with different motives. Terrorist act for a cause, to make a point or to get a reaction. Each cause comes with a different act that cause for a different approach and response. Some may be personal, some maybe unknown and some can be third-person. 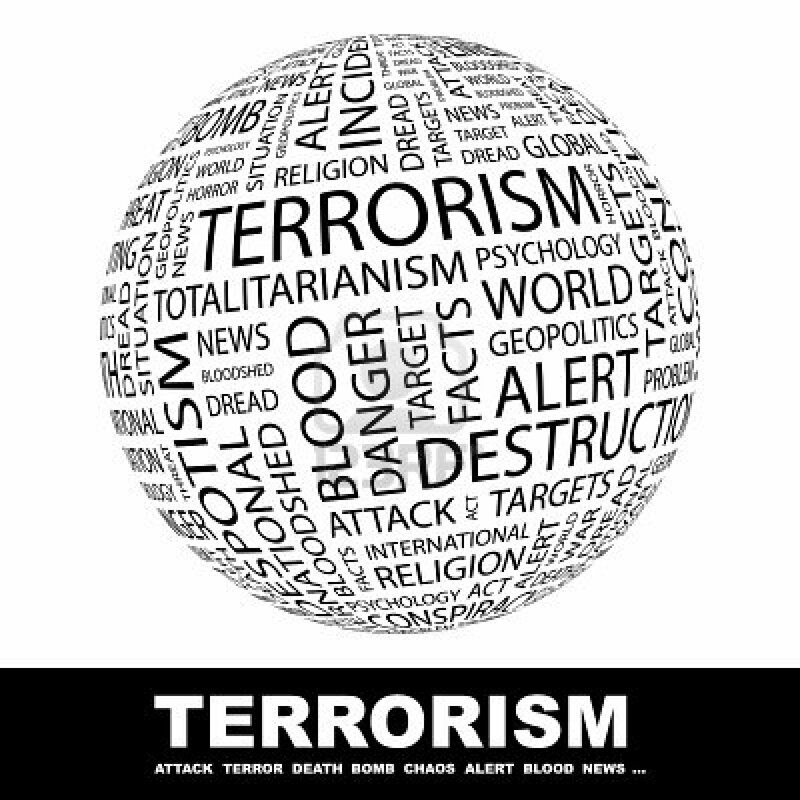 Some different forms of terrorism is state terrorism, religious terrorism, right wing terrorism, left wing terrorism, pathological terrorism, issued orientated terrorism, separatist terrorism, political terrorism, nonpolitical terrorism and narco-terrosim. All these different forms of terrorism have one thing in common. They all aim to change something. One thing all these different forms of terrorism have in common is that they are violent acts that destroys property, invoke fear and attempt to present danger to the lives of other people. Some terroristic acts to present danger to that person as well. Some terrorist go as far as risking their own lives to complete their act and prove the point that they are trying to make. Some violent methods that are used is assault weapons, explosives, or toxic chemicals that are released into the air. They generally target innocent people who are in a common public place where several people will be all at the same time. A terrorist attack can happen at anywhere at any given time. How to prepare for terror attacks or how to prevent one from happening is something that no one has yet to find the answer to. To address and explain a couple different forms of terrorism. It doesn’t just come from foreign people who may dress and look weird. State terrorism is an act form someone who has government power over that country. The goal of this form of terrorism is to gain control over a population this originated in 1793 by the French. Political terrorism is used for intimidating but it targets citizens even though the message is for is for government leader. Religious terrorism is motivated by ideologies and grievances. These sort of people risk it all for what they stand for. They are willing to sacrifice their own lives, this form of terrorism is where you’d see suicide bombing. Religious beliefs encourage and justify these sort of acts cared on by terrorist. Right wing and left wing terrorism aims for some change in government. The right wing terrorism act goal is to preserve traditional social orders and combat liberal government. The left wing terrorism act goal is to push for a socialist or communist government and end capitalist democracy. Right wing terrorism act most likely are militia groups and gang members. Left wing terrorism groups still exist. Pathological terrorism is when people use strategy to terrorize others for joy of it. Though it says terrorism pathological terrorism people who do this sort of acts are not true terrorist. This form is more of a solo act, these people do not operate in groups. Narco-terrorism is organization /gangs who make money from selling drugs. Selling drugs results in conflict and violence between other organizations and gangs. Killing off the other groups and gang members who also sales drugs makes it easier for the other group to sale drugs. This brings more customers and money to one group. With that being said terrorism aims for just about everyone. There is no certain target. No one is safe, putting an end to this is probably never going to happen. Terrorism is a problem in today’s world. In several places terrorist terrorize the governments of their choice. These places are called hotspots, and to be qualified as a hotspot there had to have been attacked six times since 1970. Which places are the worst and which places have budding areas of hostile activity? North Africa is one place where terrorism is starting to show its ugly head. Al-Qaeda of the Islamic Maghreb (AQIM) is flourishing in Africa. Polisario Front is a separatist group that is fighting for independence in the Sahara. Islamist militants go to work in the most unstable areas, exploiting the corruption, weak governments, and other social tensions. The fractured and scattered security systems have allowed AQIM to smuggle large amounts of weapons to their fighters and interests in other countries. Some of the people who are supposed to stop such things actually end up fighting for AQIM in places like Tunisia. Places that do have good security aren’t safe, which means they don’t have good security. Many attacks are pulled off by fighters from different states or nations. Outside Intervention can cause more recruitment into these terrorist groups, such as France’s interaction with Morocco. The local government’s inability or ineptness at combating terrorism is caused by inability to come up with ways of properly dealing with or downright collaborating with them. The Polisario Front wants independence for the Sahara from Morocco. The Sahara was a Spanish colony from 1884 up until 1975. Western nations and the UN fear the fighting in the Sahara will spread out to other countries. As well as terrorist infiltration into the refugee camps in various countries as the refugees live in appalling conditions that could encourage them to join terrorist groups. Gee I wonder why they would revolt. Organized crime syndicates like to exploit these people and lack of government intervention as well. Due to the conditions of refugee camps, and lots of fighting, terrorist groups and crime syndicates can pluck all the impressionable disenfranchised youth that they want. If you want some terrorism overnight without having to travel to Africa you don’t have to the terrorist will bring the terrorism to you. In the past forty years there have been around 650 terrorist attacks on American soil, half of them in Manhattan alone. Most of the attacks happen in bigger cities. If you like your terrorist with the funding of a country maybe Israel is more your speed. Israel is constantly under attack from various countries for various reasons in various ways. Pakistan likes to attack Israel because they want to go through Egypt. Israel doesn’t like getting attacked, who does, so they have their own group to do their bidding. Mossad is Israel’s counter-terrorist group, or depending on how you look at things a state sponsored terrorist group. Actions by Mossad include assassinating eleven Palestinians suspected of being involved with killing eleven Israeli athletes at the Munich Olympics. As well as supposedly assassinating a weapons engineer in Iran who had plans for a nuclear cannon. - The terrorism we know is just bombing but little did i know there are terrorist in high places and are just evolving. -England's universities have become a breeding ground for extremism and terrorist recruitment, according to a disturbing government report. Officials have identified 40 English universities where ‘there may be particular risk of radicalization or recruitment on campus’. A soon to be published Whitehall report – seen by the Daily Mail – will point to a string of examples of students going on to commit terrorist acts against this country or overseas. Alarmingly the Prevent review says that ‘more than 30 per cent of people convicted for Al Qaeda-associated terrorist offences in the UK… are known to have attended university or a higher education institution. The report, prepared by Home Office officials, warns of hardline Islamic groups specifically targeting universities which have large numbers of Muslim students in order to peddle a message of hate. Students are even ‘engaging in terrorism or related activities while members of university societies’. But it says the universities are not doing enough to respond to this threat to national security. Fewer than half of universities are engaged with the police. Home Secretary Theresa May will demand universities do more to confront this threat. She also wants more action to deport preachers of hate. The universities which have given places to fanatics include some of our most prestigious institutions. 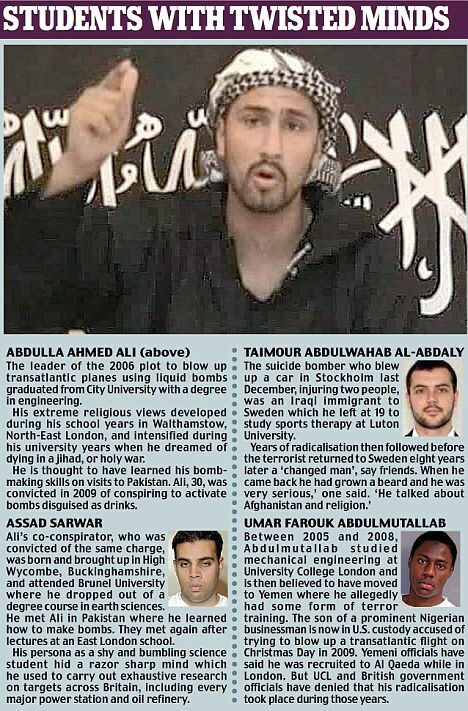 The report will say that terrorists who have attended English universities include Taimour Abdulwahab al-Abdaly, the Stockholm suicide bomber who had a BSc in sports therapy from the University of Luton, now the University of Bedfordshire. The alleged Detroit underpants bomber, Umar Farouk Abdulmutallab, studied mechanical engineering at University College London between 2005 and 2008. Two of the fanatics convicted of the transatlantic liquid bomb plot – ringleader Abdulla Ahmed Ali and Assad Sarwar – attended City and Brunel Universities respectively. The review says the Department for Business, which is in charge of universities, has identified about 40 English universities where there may be a particular risk. Some now have a dedicated police officer to advise on tackling radicalization. The document raises particular alarm about the Federation of Student Islamic Societies (FOSIS). It says there are ‘several examples of students engaging in terrorism or related activities while members of university societies affiliated to FOSIS. The finger of blame for radicalizing students is pointed at Hizb-ut-Tahrir, which David Cameron promised to ban in opposition, and off-shoots of a fanatical group once run by preacher of hate Omar Bakri. Universities UK says that universities ‘are places where ideas and beliefs can be tested without fear of control’, and that they act as a safeguard against ideologies that threaten Britain’s open society. The worries about the lax attitude of some universities is combined with concern about the student visa route. Ten of the 11 Pakistani nationals seized on suspicion of plotting an atrocity in the North-West in 2009 had student visas. The alleged ringleader of this plot – Abid Naseer – was a computer studies student at Liverpool John Moores University. Mrs May is determined to crack down on the abuse of the student visa route. However, she has faced opposition within government from Michael Gove’s Education Department and Business Secretary Vince Cable. Meanwhile, Whitehall officials are said to be concerned that Mr Gove’s flagship ‘free schools’ policy – where parents can obtain state funding to open and run their own schools – could be targeted by extremists. Security officials working in a dedicated unit are expected to vet the backgrounds of all would-be applicants for evidence of extremism or radicalization. The Prevent strategy is said to have caused behind-the-scenes rows within the Government. Mr Gove is understood to have argued that the Government should not engage with groups which hold any extremist beliefs – even though these are the ones most likely to attract would-be terrorists. Four months ago, in a major speech in Munich, the Prime Minister signaled an end to ‘passive tolerance’ of extremist Islamic organizations which foster hatred against the West and radicalize young Muslims. -The internet is a "fertile breeding ground for terrorism" and plays a part in most, if not all, cases of violent radicalisation, MPs said today. Internet service providers should be more active in monitoring the sites they host and the government should work with them to develop a code of practice for the removal of material which promotes violent extremism, the report said. It comes as four radical Islamists will be sentenced this week for plotting a major pre-Christmas terror attack on the London Stock Exchange after being inspired by the preaching of the recently killed extremist Anwar al-Awlaki. The nine-month inquiry by the Commons Home Affairs Select Committee found that the internet played a greater role in violent radicalisation than prisons, universities or places of worship, and "was now one of the few unregulated spaces where radicalisation is able to take place". But it added that a "sense of grievance" was key, and direct personal contact with radicals was a "significant factor". Terrorists are all over the world. Some can be seen and act out publicly while others sit back, hide, and wait for the most opportune moment to strike. these are some of the countries with the biggest, most violent, and "loudest" terrorist organizations on the planet. Since the US led invasion of Iraq, the country has fallen into a violent spiral. The presence of US troops has attracted Islamic terrorists from the Middle-East and around the world. Al-Qaeda is believed to have established a toe-hold in the country along with various splinter groups. Some of the other terror organizations active in Iraq include Ansar al-Islam, Al-Faruq Brigades, Al-Mahdi Army, Iraqi Resistance Islamic Front (JAMI), Jamaat al-Tawhid wa'l-Jihad, Jaysh Muhammad and Kurdistan People’s Congress (KHK). Pakistan has long been a staging ground and planning centre for Islamic terrorists operating in South Asia. After the launch of Operation Enduring Freedom, thousands of terrorists were either killed or driven out of Afghansistan, mostly finding refuge in Pakistan. Pakistan and its secret service (ISI) have also been accused of training and funding several terrorist groups operating in Indian Kashmir and the terrorist attacks in Mumbai. The links have long been clear, since the the terrorist groups based in Pakistan operate in plain sight and have a distinct Afghan and Indian focus. The massive leak of U.S. Intelligence data on the Wikileaks website further showed the complicity of the Pakistani state with terrorist groups, used to establish a false state of deniability. New York Times journalist Carlotta Gall has written a book that further delves into the Pakistani state's deep involvement with terrorism in Afghanistan. The former Canadian ambassador to Afghanistan and minister, Chris Alexander has made a similar assertion calling Pakistan a state sponsor of terrorism. Terrorism is all over the World as we know it. It is everywhere, but there are some places that terrorism is affecting more than others. Some of the main breeding grounds of terrorism are places such as East Africa, The Sahel, Nigeria, Egypt, Tunisia, and Libya. The terrorism in East Africa is more than likely going to start affecting Somalia and Kenya. There have been multiple threats from Al- Shabab’s and his main focus is on the leader Ahmed Godane. Last year Shabab attacked a shopping center in Nairobi, and the group is not afraid to launch operations somewhere else in the region. In Sahel, the down-arrow of the French troops in Mali is likely to prompt a lot of attacks and kidnappings not only in Mali, buy in the surrounding areas. The Al- Qaida group is obviously not getting any weaker and they are still showing all the different types of capabilities they have. In Nigeria, the main spots the the terrorists are aiming for are historical hotspots, and remote parts of Nigeria, especially around the city of Kano. The 2015 election is also supposed to raise the amount of violent attacks. However, the security forces are more than likely going to prevent sustained violence outside the main strongholds in the northeast. In Egypt, the attacks are targeting the government, police, and military. These attacks are suppose to increase, especially among the boarders. The Muslim Brotherhood (who is banned) has comned violence and urged peaceful protests. The main targets are political and governmental, but the civilians and christian sites face an elevated risk in the months ahead. In Tunisia there was a political crisis following an assassination of a politician marked an array of attacks. Since these attacks militants have has increased their suicide bombers and set out to target more tourist areas. Al- Qaida will seek to influence some events in Tunisia as well as other nations in North Africa. Lastly, in Libya, most of the attacks that have been going on have been in the northeast and focused on specific targets. There are a broad range of groups that are very capable of carrying out very dangerous attacks. Terrorism is not a new thing it just so happens to be multiplying. New threats towards the U.S. have been emerging and becoming a lot more extreme. According to the article “Emerging Terror Threat to the U.S. from Yemen and Somalia“ it explains, “An emerging terror threat from Yemen and Somalia "pose[s] new challenges to the United States and other countries fighting extremism worldwide," according to a January 2010 U.S. Senate Committee on Foreign Relations report titled "Al Qaeda in Yemen and Somalia: A Ticking Time Bomb." The threat, according to the report, includes an increase in the number of Americans who are traveling to Yemen and Somalia to train with Al Qaeda-linked terrorist groups, as well as the growing threat inside the U.S. among self-radicalized Americans planning attacks based on Al Qaeda ideology. Al Qaeda's methods have changed with America's success in dismantling the core of the organization in Afghanistan, according to the report. Now, Al Qaeda-affiliated groups in Yemen and Somalia are planning and executing their own attacks and raising their own funds. While their method of attacks has changed, Al Qaeda's goal of attacking the U.S. and its allies has stayed the same. "As Al Qaeda members continue to resist U.S. and Pakistani forces along the Afghanistan-Pakistan border," the report states, "some of their comrades appear to be moving to Yemen and Somalia, where the political climate allows them to seek safe haven, recruit new members, and train for future operations." For example, Yemen's weak central government has allowed Al Qaeda in the Arabian Peninsula (AQAP), Al Qaeda's affiliate in Yemen, to operate relatively freely in Yemen for the past year. In December 2009, AQAP claimed responsibility for a failed attack on a transatlantic flight from Amsterdam to Detroit, marking the first time that the group publically tried to carry out an attack outside of the Arabian Peninsula against American interests. Since the failed attack, the group has made several statements threatening Americans, including a message released in February 2010 calling for attacks "everywhere" against U.S. interests. The Senate report also states that as many as 36 American ex-convicts who converted to Islam in prison claim to have arrived in Yemen in the past year to study Arabic, but some of these individuals have disappeared and are suspected of training at Al Qaeda camps. Other Americans have also moved to Yemen, adopted a radical interpretation of Islam, and married Yemeni women in order to stay in the country. The FBI is currently investigating the case of Sharif Mobley, an alleged Al Qaeda member from New Jersey who reportedly shot two guards at the Yemeni hospital where he was held in March 2010. Yemeni officials have claimed that Mobley is a wanted suspect in several terrorist attacks and was among 11 men arrested the previous week at the Sanaa home of an Al Qaeda member. Several Americans accused or convicted on terror charges traveled to Yemen before engaging in terrorism and may have been radicalized there. For example, Abdulhakim Mujahid Muhammad, who allegedly shot two uniformed American soldiers at a military recruiting center in Little Rock, Arkansas, in June 2009, claimed to have ties to AQAP in a January 2010 letter to the judge presiding over his case. Muhammad reportedly went to Yemen to teach English with the British Council in Yemen in September 2007, according to a spokesman for the Yemeni Embassy. During his time in Yemen, Muhammad reportedly taught English and took Arabic classes at The City Institute, a group closely affiliated with the Dammaj Center. That center, according to the Department of Defense, is an Islamic institute often used for a recruiting grounds for foreign extremists "seeking entry into paramilitary or jihad organizations." Similarly, John Walker Lindh, who is currently serving a prison sentence for fighting with the Taliban, studied in Yemen prior to joining the Taliban. He studied at Al-Iman University in Sanaa, a university whose founder and leader is Shaykh Abd-al-Majid al-Zindani, a U.S. Specially Designated Global Terrorist. Umar Farouk Abdulmutallab, the failed Christmas Day bomber, also reportedly studied at Al-Iman University and may have been radicalized in Yemen. Like Yemen, Somalia has a weak central government, which makes it easier for the terrorist group Al Shabaab to operate in the region, according to the report. While Al Shabaab only emerged a few years ago, the country has been housing terrorists for decades. The report notes that terrorists used Somalia as a base to recruit, train, hide and smuggle weapons in preparation for the 1998 attacks on U.S. embassies in Kenya and Tanzania and the 2002 attacks against Israeli tourists in Mombasa, Kenya. U.S. and Somali officials are concerned, the report notes, that Somali-American recruits to Al Shabaab will plot attacks against the U.S. or American interests. The fact that more Americans are traveling to Somalia to train with Al Shabaab increases this threat. In 2009 alone, 14 American residents were indicted on terror-related charges linked to Al Shabaab. At least five other former Minnesota residents were reportedly killed while fighting or training with the group between June and September 2009. The group has also stated its intent to target Western interests both inside and outside Somalia. After the U.S. designated Al Shabaab as a Foreign Terrorist Organization in February 2008, former Al Shabaab spokesman Sheik Muktar Robow reportedly told the BBC in an interview, "Al-Shabaab feels honored to be included on the list. We are good Muslims and the Americans are infidels. We are on the right path." In April 2009, Al Shabaab fired mortar shells at a U.S. congressman as his plane lifted off from a Somalia airport. In addition to Al Qaeda-affiliates in Yemen and Somalia, the report also notes that there are semi-autonomous cells that help make up the Al Qaeda network in the U.S. These cells or individuals, which usually only have peripheral ties to Al Qaeda leadership, are often radicalized in their own country before traveling overseas to receive training. Najibullah Zazi, for example, a U.S. legal resident who pleaded guilty in February 2010 to planning a terrorist attack with Al Qaeda against the New York City subways, was reportedly radicalized in the U.S. before he traveled to Pakistan for training. -Terrorism is just not brand-new, and even though it’s been used since the beginningof registered background it may be fairly difficult to determine. Terrorism may be defined variously since each a technique and also technique; a crime along with a holy responsibility; any validated reaction to oppression plus an inexcusable abomination. Clearly, a whole lot depends upon whoever viewpoint is being represented. Terrorism has frequently recently been a powerful approach to the less strong side inside a conflict. As an asymmetric kind of clash, this confers coercive power with many different in the features of military services push in a small percentage in the expense. Due to secretive character along with modest size of terrorist agencies, they often times offer you competitors zero apparent corporation to guard towards or prevent. Counter-Terrorism is the counter to terrorism and not terrorist acts that occur on the counter in the kitchen. Many countries have counter-terrorist groups, from the United States to the UK, Germany and Canada all have groups that combat terrorists. The first CT team was started in England as the Special Irish Branch in the 1880s as a way to fight Irish rebels. Eventually the Irish was dropped from the title making it Special Branch, that covered everything from local terrorists to organized crimes. Much like battling crime, battling terrorism is much the same because it is the same, just a larger scale. Going undercover, intercepting communications, and watching someone inside a creepy unmarked van are all things used by both CT teams and police. CT teams work with local police and governments to figure out the best course of action to take of the threat. Terrorist threats that are the hardest to detect are homegrown terrorists or lone wolves due to their ability to remain hidden. Preemptive strikes are a common tactic where a suspected terrorist is killed or taken into custody before an attack can occur. The US, UK, Israel and those jolly blokes in Russia like to take part in preemptive strikes. Other countries like to use something called proof, sounds like they're held back by facts and don't listen to their gut. Other ways of fighting terrorists include shooting them, chasing them, yelling at them in a gravely voice, and beating them up with Krav Maga. In this modern age of feel-gooderies, some people think the terrorists have rights. Even people who might be terrorists apparently have rights. A lot of the problem is human rights violations, such as torture. While is United States captivity captured terrorists can be denied trial, denied a lawyer, and held indefinitely, which is the opposite of everything the US constitution stand for. Most Counter-Terrorist groups have the goal of preventing harm coming to citizens of wherever, while human rights groups have the individual rights in mind for all humans involved including the terrorist's. Actions against terrorists in the US has lead to many anti-terrorist actions such as ridiculous airport security, heightened profiling against everyone, and border patrol to keep lazy immigrants from getting in the way of fighting terrorists. Several Counter-Terrorist groups include Israel's Mossad who are like the CIA and like to kill everyone, YAMAM which is more of their FBI and do more on the homeland. The Isrealis also have Duvdevan which is considered their best CT group. The craziest of the crazies. The US's CIA SAD team grew out of the MAC-V/SOG teams that ran around Vietnam and did things. There's also the Department of Homeland Security's ICE, and local SWAT teams as well who do things. The UK has their Counter Terrorist Command, Russia has their Spetnaz GRU. Counter-Insurgency is also important to Counter-Terrorism because it makes it so we can negotiate with them. It also makes things more difficult because anyone and everyone could be a combatant especially when the locals see the peace keepers as the hostile invaders. Insurgencies and terrorists can have the same goals, but one can be more popular with the population. An insurgency can go on indefinitely as long as there are people willing to fight for whatever. The most common definition of counterterrorism is the practices, tactics, techniques, and strategies that governments, militaries, police departments and corporations adopt in response to terrorist threats and/or acts, both real and imputed. What Are the Objectives of Counterterrorism? Each US Government agency involved in counterterrorism has an objective in the war on terror. The FBI mission is to neutralize terrorist cells and operatives here in the U.S. and to help dismantle terrorist networks worldwide. 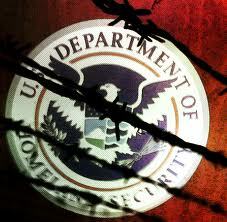 In the US, numerous agencies including the FBI, CIA, Department of Homeland Security and the State Department have authority to combat terrorism. 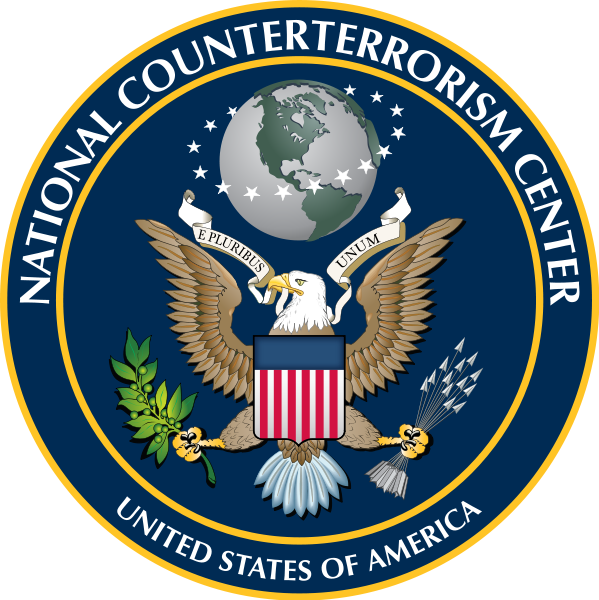 The National Counterterrorism Center objective is to integrate and orchestrate the formidable capabilities of the US Government dedicated to defeating the scourge of international terrorism and reducing the threat to US interests at home and abroad. There are two aspects of counterterrorism. The first is to make citizens safer from terrorist threats through screening of airline passengers, placing video cameras and metal detectors in public places, random patrols of bomb-sniffing dogs, etc. The second is neutralization of terrorists through arrests, prosecutions, assassinations, raids on terrorist facilities, military action, etc. Full counterterrorism encompasses threat reduction by making the US a "harder target" and actively "going after" terrorists. Who Makes Decisions on Counterterrorism Policy in the US? Effective counterterrorism is a challenge because of all the agencies involved. The White House, State Department, FBI, CIA, Department of Homeland Security, Transportation Security Agency, Department of Justice and state/local authorities may all be involved in a counterterrorism program. The State Department's Office of the Coordinator for Counterterrorism coordinates and supports the development and implementation of all U.S. Government policies and programs aimed at countering terrorism overseas. Planning and execution of counterterrorism policies and programs is done at the National Counterterrorism Center. Counterterrorism is the practices, tactics, techniques, and strategies that governments, militaries, police departments and corporations adopt to attack terrorist threats and/or acts, both real and imputed. I will discuss counter-terrorism units in Great-Britain; two important ones are the British Special Air Service, and the Special Boat Squadron. First, I will discuss the British Special Air Service (SAS). During world war II a Scot named David Stirling who believed passionately that there was an important role for ‘special operations’ formed the SAS. The SAS motto is ‘Who dares wins.’ It is developed into what is usually described as one of the best counter-terror units in the world. Their home base is currently at Royal Air Force base at Creedenhill. The special Air service is made up of a Special Projects Team, and it is from this team that the Counter Revolutionary Warfare Squadron was formed to handle both foreign and domestic terrorism issues. The SAS is on every moment standby to deal with a sudden terrorist situation. An Operation Research Unit supports all SAS projects and has developed weaponry specific to the needs of the Regiment. The unit developed weapons, like the stun grenade, night-vision goggles, and special ladders for aircraft and train assaults. In peacetime the SAS is primarily involved in dealing with the IRA, who are surprised about the speed and efficiency the unit carried out their operations. The media coverage of the liberation of the hostage taking of the Iranian Embassy in London (April 30, 1980) showed the country that it did not deal lightly with terrorists and was prepared to use whatever force was necessary. The success of the SAS has to be coupled with a highly competent intelligence network and through a variety of ways the security services in Northern Ireland became adept at infiltrating as well as coercing information from informants. 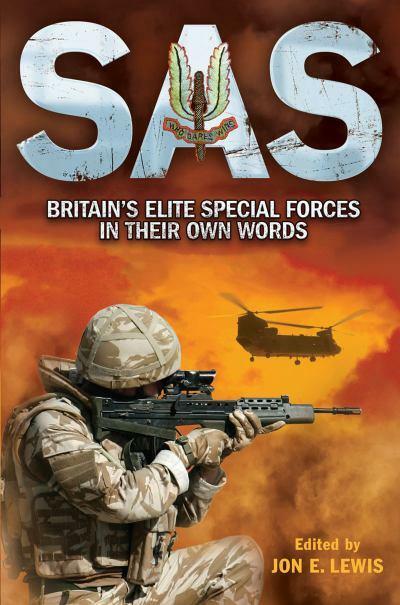 SAS activity is not restricted to the United Kingdom, it is believed that the regiment has been involved in operations against Lybia. The majority of the Britons strongly supported the actions of the elite SAS team but one event changed a lot of minds when the SAS performed an attack on IRA members in Gibraltar. There was controversy over the ‘shoot-to kill’ policy. Besides preventing terrorist attacks, the SAS actively assisted in training many counter terror units around the globe. 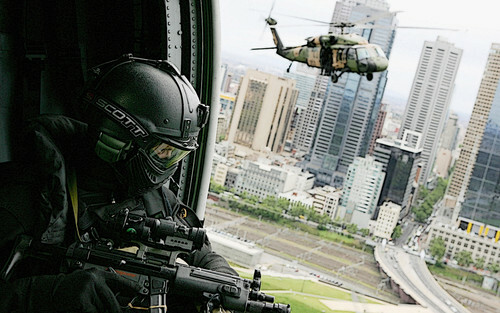 It is believed that the SAS is present, either officially or unofficially, at any terror incident to review how it is handled, and what can be improved. The special operations units have proven effectively for suicide bombings and car bombings in Iraq, particularly in Baghdad. They reduced the number of attacks down from over hundred-fifty a month to around three or four. Secondly, the British Royal Navy has its own counter-terrorism unit to rival the SAS, namely the Special Boat Squadron (SBS). This unit is highly trained to respond to maritime acts of terrorism, though it is not widely used. The most notably, the unit responded with the SAS to the bomb threat on the ocean liner, Queen Elizabeth II in the North Atlantic. Finally, because of the proven effectiveness of the SAS regiment and its legendary exploits since World War II, other Commonwealth countries have modeled their counterterrorism units on the SAS. 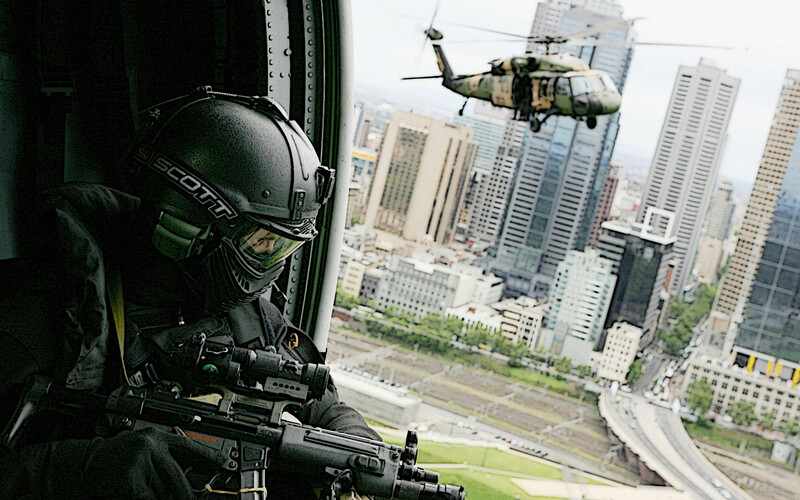 The Australian SAS and the New Zealand SAS have even adopted their name. Terrorism is a widely known practice and many methods are used to carry out its duties. One such method is airplanes. 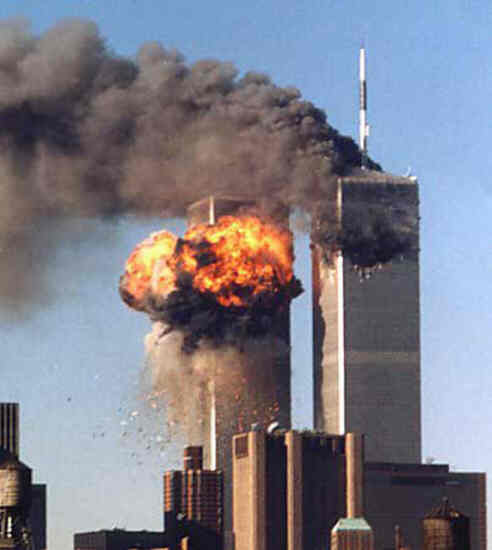 Every since 9/11 the use of airplanes to carry out a terrorist attack has been more acknowledged by the general public. Because of this the Department of Homeland Security has begun to practice something known as the Federal Air Marshals. The Federal Air Marshal Service promotes confidence in the nation’s civil aviation system through the effective deployment of Federal Air Marshals (FAMs) to detect, deter, and defeat hostile acts targeting U.S. air carriers, airports, passengers, and crews. Basically this means that an independent person who is specially trained participates in flights daily to make sure the airplane is secure. They do this without backup and must rely on their instincts to protect the flying public. Federal Air Marshals have an ever expanding role in homeland security and work closely with other law enforcement agencies to accomplish their mission. Currently, air marshals staff several positions at different organizations such as the National Counterterrorism Center, the National Targeting Center, and on the FBI’s Joint Terrorism Task Forces. In addition, they are also distributed among other law enforcement and homeland security liaison assignments during times of heightened alert or special national events. There are many requirements to become an Air Marshal and some are listed below. Oral Communications: Expresses information to individuals or groups, effectively, taking into account the audience and nature of the information; makes clear and convincing oral presentations; listens to others, attends to non-verbal cues, and responds appropriately. Written Communication: Recognizes or uses correct English grammar, punctuation, and spelling; communicates information in a succinct and organized manner; produces written information, which may include technical material that is appropriate for the intended audience. Skill to function effectively in a stressful environment: This job requires work in a stressful environment where risks or threats are not readily identifiable. Federal Air Marshals are responsible for making case-by-case decisions that may result in a decision to use deadly force. 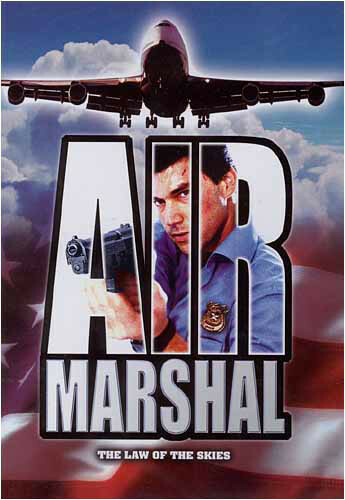 The Federal Air Marshal must deal calmly and effectively with high stress situations. The conditions to be an Air Marshal are tough and they work for long periods of time without breaks. They must be proficient in the use of firearms and participate in mandatory physical fitness programs. They’re required to work weeknights, holidays, and overtime. Being an Air Marshal is an extremely important job and it’s crucial to acknowledge everything they do. They give up time with their families to make sure ours are safe.